Driftland was one of the stranger games we got to play at PAX West this year that took us totally by surprise and made us very happy we set up an appointment. This is a 4X strategy game where you are a kingdom in the clouds on floating pieces of land with what appears to be a barren landscape below where you could fall to your death. The object of the game is to explore, expand, thrive, and conquer your way to becoming the strongest kingdom around. You will explore other pieces of land by building bridges and sending scouts to see what’s there, then build as you need on those pieces of land to obtain resources and grow. I had a ton of fun just building up my kingdom and taking out all sorts of monsters and riff-raff around who dare to challenge me. Not to mention casting spells that sent people packing and made me the king of all that floats. 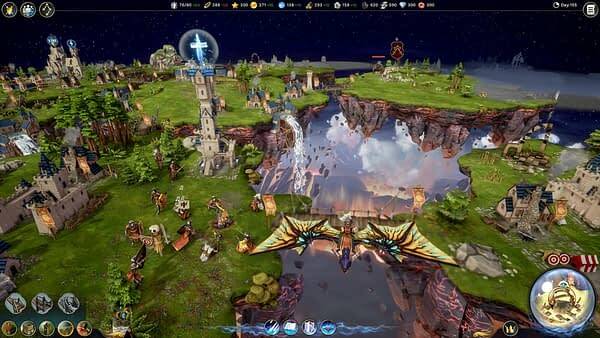 Driftland has been in Early Access since last November and we have yet to hear about an official release date. If strategy games are your kind of deal, you might want to check this one out.